Cole slaw, the Spicy Chicken Biscuit, and the Breakfast Burrito -- these are a few of the foods Chick-fil-A has discontinued in recent years to make way for all-new menu items like the Superfood salad side, the Egg White Grill sandwich, and recently, the Hash Brown Scramble breakfast bowl. 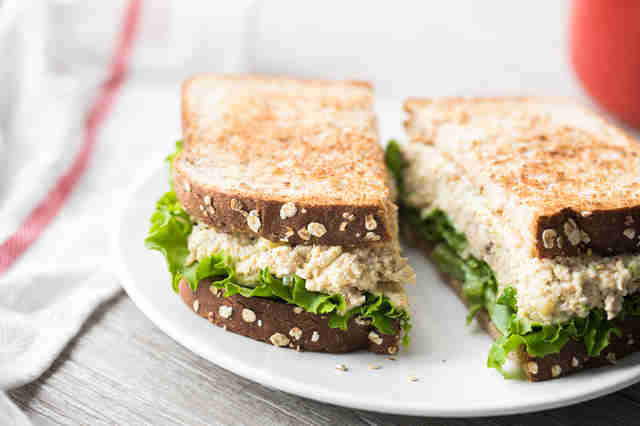 Now, it's time to start preparing to say goodbye to another old favorite: the Chicken Salad sandwich. Chick-fil-A said its days of offering the classic sandwich will officially come to an end at its restaurants across the country on September 30 and the decision to kill off the menu item was "a difficult one." However, there's a chance the sandwich will be replaced by a completely new food on the menu at some point in the future, so its sacrifice may just be worth it. 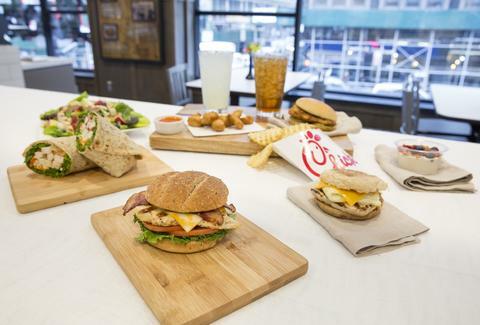 "We know that many of our customers loved our Chicken Salad, but we have also heard from guests that they are looking for new tastes and fresh flavors on the menu in our restaurants," a Chick-fil-A spokesperson said vie email on Friday. Just last month, the chicken sandwich chain announced it is testing family-size meals, including new sides such as Mac and Cheese and Bacon Baked Beans. It's worth noting that the fried chicken sandwich chain first announced the move to retire Chicken Salad back in late June, but as of this writing, you have only a little more than a month left to get it before it's gone for good. To help ease your pain (and probably your hunger), the company has also published its recipe for the sandwich so you can make it at home. No, it won't be the same as picking one up at the drive-thru, but with any lucky, something new and better (hopefully the aforementioned Mac and Cheese) will come along to fill the Chicken Salad-shaped hole in your heart. Tony Merevick is Senior News Editor at Thrillist and has never enjoyed chicken salad from anywhere. Send news tips to news@thrillist.com and follow him on Twitter @tonymerevick.